"When they step into reality, the real game begins." CJ Entertainment has released an official international trailer (with English subtitles) for an epic Korean action film called Fabricated City. The story follows a nerdy, uber-gamer who is the "best leader" online with his gamer friends. But he is framed for the murder of a young woman, so he teams up with his gamer/hacker friends to try and solve the case and clear his name. Starring Ji Chang-wook, Shim Eun-Kyung, and Oh Jung-se. So this actually looks pretty damn cool, there's some crazy action in it, and the Koreans certainly know how to make edgy but fun thrillers. Game on. In real life, Kwon Yoo (Ji Chang-Wook) is unemployed, but in the virtual game world he is the best leader. Kwon Yoo is then framed for a murder. With the help of hacker Yeo-Wool (Shim Eun-Kyung) and his gaming buddies, he tries to uncover the truth behind the murder case. 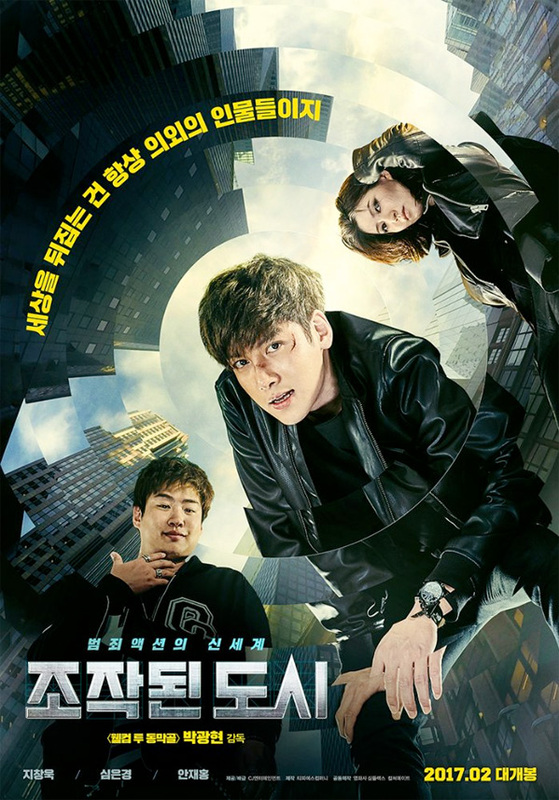 Fabricated City is directed by Korean filmmaker Park Kwang-hyun, of the films No Comment and Welcome to Dongmakgol previously. Fabricated City is set to open in Korea in February this year, but still doesn't have a US release date yet. CJ Entertainment is planning to eventually release the film here, so stay tuned for any updates. Your thoughts? I will stick with the weird Gerard Butler one.